I have been experimenting with a new product from the continent - I haven't seen it here in the UK. 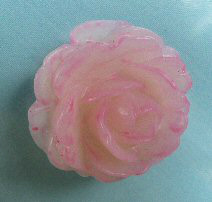 It is called 'Ice' = this is Pink ice on a translucent flower. So far it looks good.